Though competition is great for consumers -- as they get more and better goods and services for less money -- some companies dislike the constant pressure it creates for them to stay ahead. When that's the case, it's no surprise when they call on the government to squash annoying competitors. Case in point: the big three U.S. airlines' attempts to limit the pressure by Persian Gulf carriers on their price and quality. Apparently, flying the friendly sky is all about U.S. airlines making money on the backs of their captive consumers. This all started when Delta, American and United hatched a big plan to limit flights to the United States by the airline Emirates, Etihad Airways and Qatar Airways. The intent was to eliminate options for American consumers. 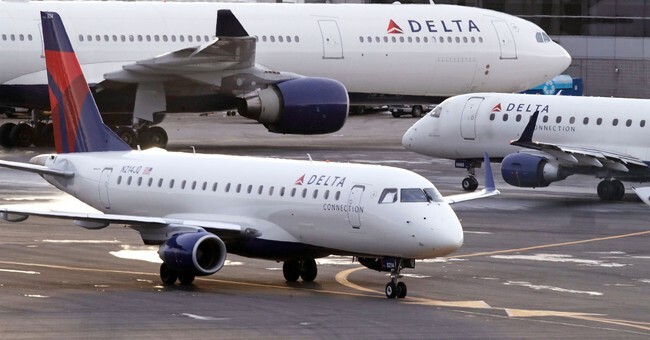 Delta, the anti-competition gang leader, hoped to limit the foreign airlines' ability to offer lower prices, as well. When the American airlines realized they were fighting in vain, they shifted their focus toward preventing the Persian airlines from expanding their routes between U.S. cities and popular international destinations. All told, they spent up to $50 million of their shareholders' cash lobbying for government intervention against competition -- but it was all for naught. As it turns out, in spite of the money, this is one of those rare instances when the cronies lost and consumers and competition won the day. Indeed, a recent agreement between the United States and the United Arab Emirates -- after a similar agreement in January with Qatar -- basically changes nothing and preserves the open-skies agreement, with its market-liberalizing rules, between the two nations. The Gulf carriers agreed to new financial transparency standards, but no one believes that's what the U.S. carriers were fighting so hard to achieve. The real point of contention was the use of so-called fifth freedom flights, which allow airlines to carry traffic between foreign countries if they begin or end the route within their own nation. The U.S. airlines sought to prevent the Gulf carriers from expanding their fifth freedom routes in the United States, but instead of outright prohibition, they got only an assurance that there were currently no plans to add fifth freedom flights. It's a meaningless statement, seeing as they can change their plans at any time. What's notable is that despite gaining almost nothing of substance, the protectionists are nonetheless claiming victory. The director of the White House National Trade Council and leader of the protectionist contingent, Peter Navarro, pounced to declare a freeze on new U.S. routes by the Gulf carriers. He was subsequently forced to walk it back, as no such freeze exists. It's a good thing for consumers that competition is still permitted. The U.S. airlines couched their cronyism in appeals to fairness, arguing that the Gulf carriers were in violation of open-skies agreements by allegedly receiving government subsidies. Their case was considered weak even before weighing the various subsidies that domestic airlines also receive. A common error made by protectionists in this and other cases is the presumption that foreign subsidies put the United States at a competitive disadvantage. What's notable about this misunderstanding is that it's often asserted by the same individuals who profess to support limited government and free markets. They believe in free markets, but they don't believe in them enough to trust that they themselves can outperform the less free nations that choose to direct economic resources via political processes. The common reply is that they believe in free markets as long as they are "fair," but in the eyes of too many, fairness is a euphemism for a lack of competition. It seems much likelier that they don't really believe in markets at all. In the eyes of the protectionist, government must intervene whenever a U.S. industry appears to flounder, regardless of the source or nature of the competition. Navarro, for instance, is fully on board with the president's latest disastrous idea of a 25 percent tariff on auto imports. The upside to the agreements with Persian Gulf governments to preserve open skies is twofold. First, they preserve competition, which is by far the best way for consumers to get better and cheaper products year after year. Second, they send a strong message to the cronies that their dirty tricks don't always work.